What legal action can I take against a family member who never paid me for my car? - Answer from the MyAttorneyHome FAQ desk. 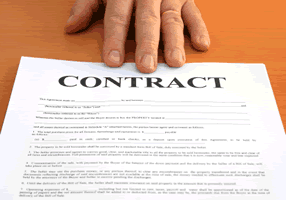 Home › Questions › Contract Law › Sold car to family member but never received payment. What are my options? Sold car to family member but never received payment. What are my options? In an ideal world you would have negotiated the price for the sale, agreed how payment would be made, and received full payment prior to allowing him to take the vehicle. Options for payment could have included full payment in cash, an electronic transfer of the funds into your bank account, or a cashier’s check. Payment plans might also work, but as you can see, you run the risk that they make a few payments then decide not to pay you anymore money. Can I simply repossess the car for non-payment? So what do you do if your cousin refuses to pay for the car? Some sellers assume they can simply go and take the car back, but taking the law into your own hands could result in charges of larceny. A much better solution is to deal with the problem directly. The first step is to discuss the issue with your cousin. Maybe there was a simple misunderstanding? If not, it’s time to take the issue a step further. Send your cousin a demand letter with the terms of the loan, amount owed, and expected date of payment. If your cousin still refuses to make payments it’s time to take the matter to small claims court. Most small claims courts only deal with small amounts of money owed ($5,000 to $10,000 depending on the state) so this may not be the best option if the car was worth substantially more than you can recover in small claims court. The good news is small claims court is inexpensive, and you can file a claim without legal representation. Winning in small claims court may also not be too difficult; you simply need some type of evidence that you had a contract. I HOPE you had a written contract defining the terms of the sale, but an oral contract can still be binding and failing to uphold the contract can still be breach of contract (albeit more difficult to prove). So let’s talk about the right way to sell a car in the future. First, if you advertise, make sure it is accurate. Next, understand what you are legally required to disclose to the buyer. For instance, you must be accurate and truthful. Consider a Bill of Sale, although state laws may eliminate the need for this. Finally, and this is a biggie, make sure you receive full payment and properly transfer title of the car to the new buyer. The best way to do this is to insist on full cash payment and meet at the local DMV, stand at the counter with the new buyer, and apply for a title together. Unfortunately, if you fail to take these steps, it’s likely you will have issues, especially if the buyer never transfers title or pays you for the car. If you go to the DMV together the new buyer could get their new license plates and you don’t have to worry about them selling drugs or injuring someone with the car you didn’t think you owned anymore. How do I get someone to pay me the money they owe? What repairs does a landlord need to make? Seller refuses to give me title of purchased car. What can I do? Surrendered car now I owe $8,000 what are my options?